Remember the other day I gave you Stove Top Low Syn Pulled Pork? 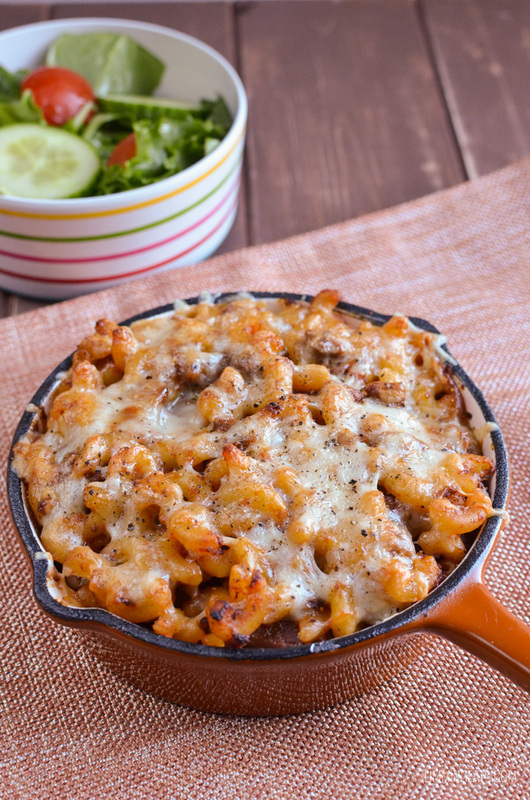 Well you are going to just love this Low Syn Pulled Pork Pasta Bake. Here on this side of the atlantic, Pulled Pork is hugely popular, pretty much anywhere you go you can be assured Pulled Pork will be on the menu. 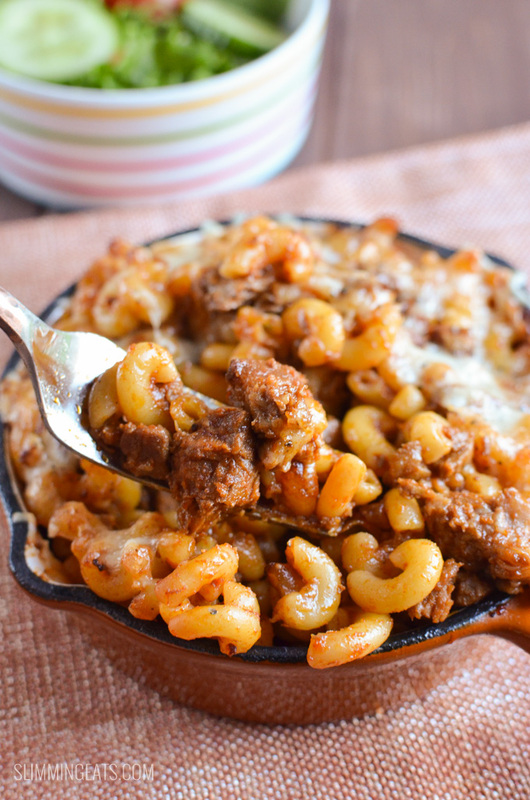 One dish I keep seeing is Pulled Pork Mac and Cheese, which gave me the inspiration for this Low Syn Pulled Pork Pasta Bake. It’s not quite a mac and cheese, but it’s cheese and oh. so. good. My kids literally cleared their plates. The whole family loved this dish. For the pulled pork, you can either use leftovers of my Stove Top Low Syn Pulled Pork or my Slow Cooker Pulled Pork. Either will be perfect. 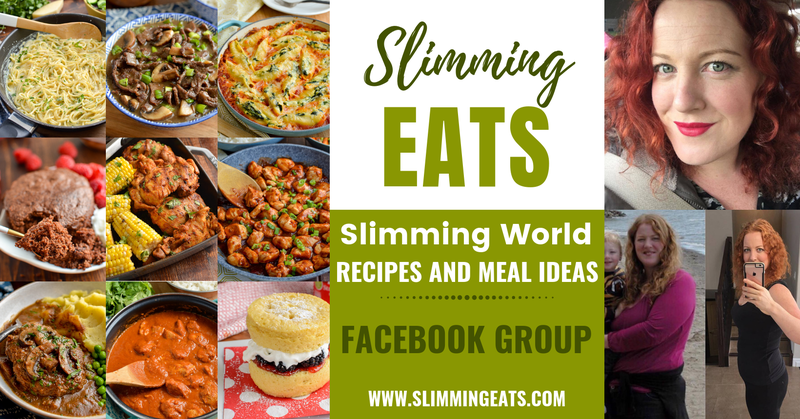 Once you have the pulled pork, the other ingredients are easy, it’s just a case of mixing together, topping with cheese and baking in the oven and you are done. I served with a nice mixed salad to get plenty of speed food into my meal, but any speed vegetable sides will work. I recently bought some awesome little mini cast iron pans, so I did the Low Syn Pulled Pork pasta bake as 4 single serving dishes – so cute. 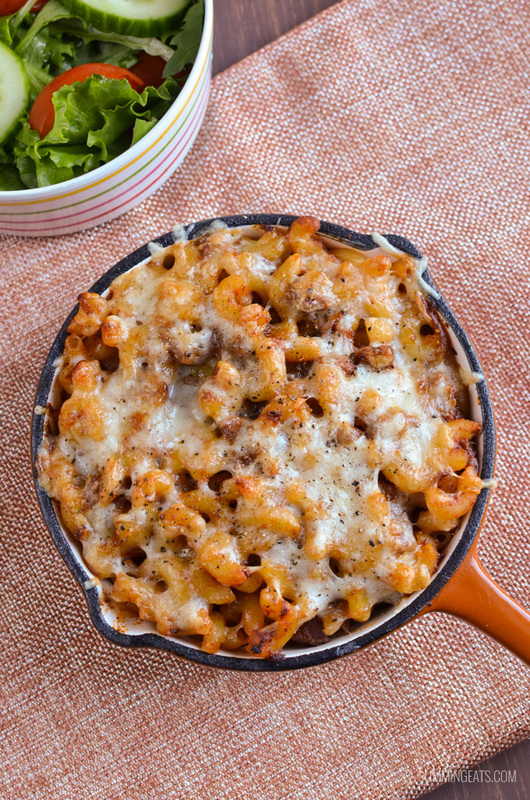 You can either do the same in 4 mini dishes, or do a big pasta bake in one oven proof dish. 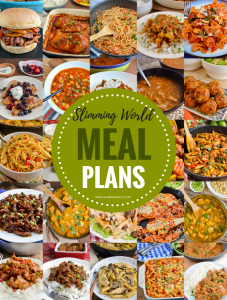 Serve with a mixed side salad or other sides of your choice. This was SO delicious ! I used smoked cheddar for the topping , it was awesome . 100% recommend this recipe ! 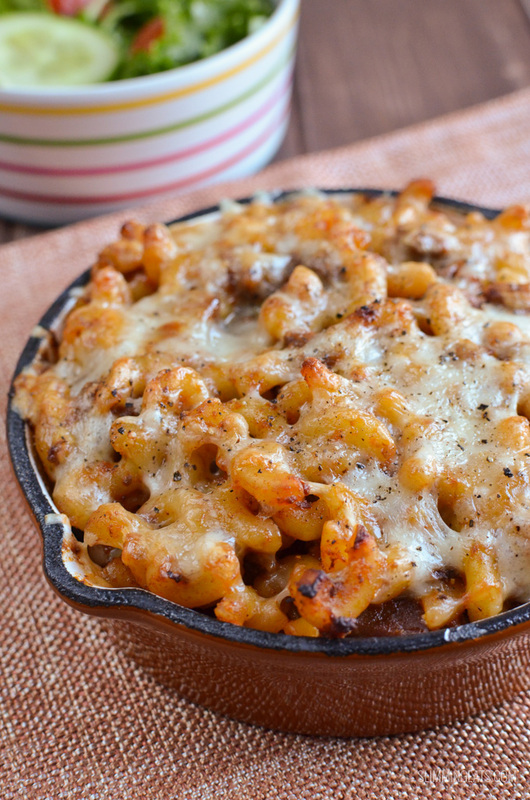 Cheese, pasta, pulled pork….how could this not be one of the best things you could ever make? 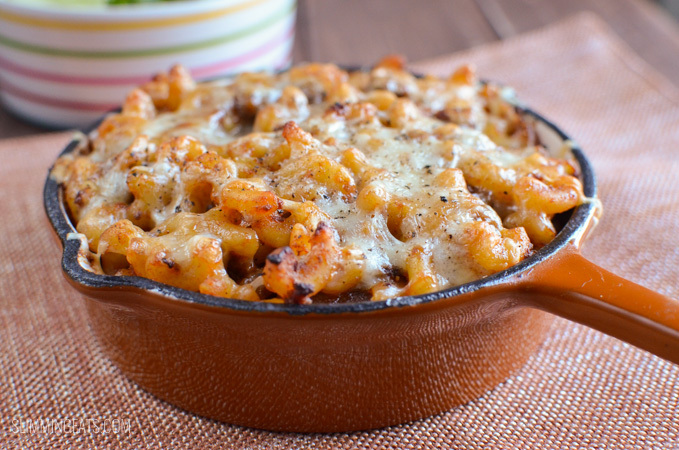 Full of flavour and the cheese was all oozy and gooey and ….just yum! Everyone needs to make this! Loved this, I added a sliced jar of roasted red peppers which worked brilliantly! OMG this is delicious & a real hit in our home! So glad you enjoyed it. It is a kids favourite here too.